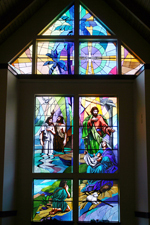 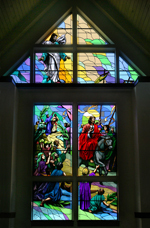 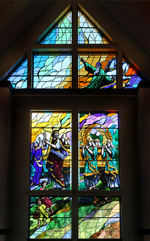 The beautiful stained glass windows in our sanctuary were constructed and installed by Statesville Stained Glass. 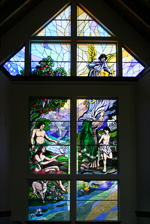 The windows on the left side of the sanctuary depict scenes from the Old Testament, the ones on the right side depict scenes from the New Testament, and the front window illustrates events surrounding Jesus’ resurrection. 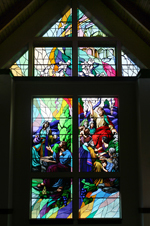 Click any of the thumbnails below to see a larger image and read an explanation of the window. 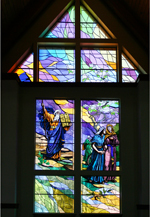 Click here to download a PDF copy of the window interpretations.